Welcome to waterfront living. 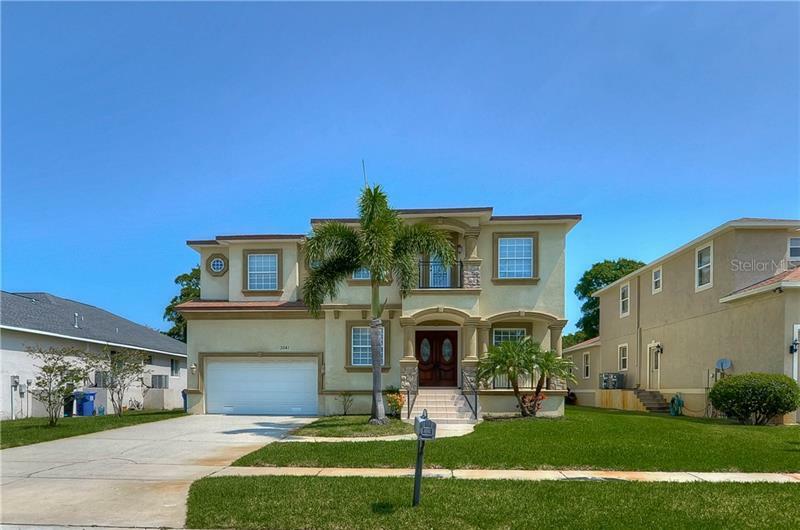 Pool refinished, This 3 bedroom 4 bathroom home boasts over 3100 SF on a cul-de-sac lot. through the entry it welcomes you into the open concept layout of this home. Open kitchen with dining area/Family room and separate living room/Bonus with Bar that rivals your local tavern. that over looks your your pool. Large master bedroom with HUGE Bathroom ad closet. o 2 other oversized bedrooms are upstairs. Full bathrooms on all floors. The Home is renovated with all new flooring throughout, new bathrooms, brand new kitchen with granite surfaces throughout. All new lighting fixtures, new paint, trim, appliances, etc. New Windows and Doors, New roof and New AC as well! All you need to do is move right in to start enjoying all that this home and this wonderful community has to offer. Survey available.